I have received my PhD degree in Computer Engineering from Bogazici University in 2001. After working as a post-doc for 18 months in Broadband and Wireless Networking Lab at Georgia Institute of Technology, I was appointed as a visiting professor at Georgia Tech Savannah for two years. Currently, I am a professor in the Department of Computer Engineering at Bogazici University. I am a faculty member of the Computer Networks Research Lab (NetLab) and Nanonetworking Research Group (NRG), and Telecommunications and Informatics Technologies Research Center (TETAM). Please refer to NRG Publications page for my my up-to-date publication list. M.G. Ulkar, A.E. Pusane, and T. Tugcu, “Novel decoding methods of constant weight coding for molecular communications,” accepted to Elsevier Nano Communication Networks. M. Turan, B.C. Akdeniz, M.Ş. Kuran, H.B. Yilmaz, I. Demirkol, A.E. Pusane, and T. Tugcu, “Transmitter Localization in Vessel-like Diffusive Channels using Ring-shaped Molecular Receivers,” accepted to IEEE Communications Letters. B.C. Akdeniz, N. Turgut, H.B. Yilmaz, C.-B. Chae, T. Tugcu, and A.E. Pusane, “Molecular Signal Modeling of a Partially Counting Absorbing Spherical Receiver,” accepted to IEEE Transactions on Communications. B.C. Akdeniz, A.E. Pusane, and T. Tugcu, “Optimal Reception Delay in Diffusion-based Molecular Communication,” IEEE Communications Letters, vol. 22, no. 1, pp. 57-60, Jan. 2018. B.C. Akdeniz, B. Tepekule, A.E. Pusane, and T. Tugcu, “Novel Network Coding Applications for Diffusion-Based Molecular Nanonetworks,” Transactions on Emerging Telecommunications Technologies, vol. 28, no. 7, pp. 1-7, July 2017. N. Ezzati, H. Taheri, and T. Tugcu, “Optimized Sensor Network for Transmitter Localization and Radio Environment Mapping,” IET Communications, Vol. 10, No 16, pp. 2170-2178, October 2016. G. Genc, Y.E. Kara, H.B. Yilmaz, and T. Tugcu, “ISI-Aware Modeling and Achievable Rate Analysis of the Diffusion Channel,” IEEE Communications Letters, Vol. 20, No 9, pp. 1729-1732, September 2016. S. Eryigit, S. Bayhan, J. Kangasharju, and T. Tugcu, “Optimal Cooperator Set Selection in Social Cognitive Radio Networks,” IEEE Transactions on Vehicular Computing, Vol. 65, No 8, pp. 6432-6443, August 2016. A.C. Heren, H.B. Yilmaz, C.-B. Chae, and T. Tugcu, “Effect of Degradation in Molecular Communication: Impairment or Enhancement?” IEEE Transactions on Molecular, Biological, and Multi-Scale Communications, Vol. 1, No 2, pp. 217-229, June 2015. B. Tepekule, A.E. Pusane, H.B. Yilmaz, C.-B. Chae, and T. Tugcu, “ISI Mitigation Techniques in Molecular Communication,” IEEE Transactions on Molecular, Biological, and Multi-Scale Communications, Vol. 1, No 2, pp. 202-216, June 2015. B. Tepekule, A.E. Pusane, M.Ş. Kuran, and T. Tugcu, "A Novel Pre-Equalization Method for Molecular Communication via Diffusion in Nanonetworks," IEEE Communications Letters, Vol. 19, No 8, pp. 1311 – 1314, August 2015. H. B. Yilmaz and T. Tugcu, "Location Estimation-based Radio Environment Map Construction in Fading Channels," Wireless Communications and Mobile Computing, Vol. 15, No 3, pp. 561-570, February 2015. H. B. Yilmaz, T. Tugcu, and F. Alagoz, "Novel Quantization-based Spectrum Sensing Scheme Under Imperfect Reporting Channel and False Reports," International Journal of Communication Systems, Vol. 27, No. 10, pp. 1459-1475, October 2014. S. Eryigit, G. Gür, S. Bayhan, and T. Tugcu, “Energy Efﬁciency is a Subtle Concept: Fundamental Trade-offs for Cognitive Radio Networks,” IEEE Communications Magazine, Vol. 52, No. 7, pp. 30-36, July 2014. H. B. Yilmaz, A. C. Heren, T. Tugcu, and C.-B. Chae, "Three-Dimensional Channel Characteristics for Molecular Communications with an Absorbing Receiver," IEEE Communications Letters, Vol. 18, No. 6, pp. 929-932, June 2014. A. Akkaya, G. Genc, and T. Tugcu, “HLA Based Architecture for Molecular Communication Simulation,” Elsevier Simulation Modelling Practice and Theory (SIMPAT), Vol. 42, pp. 163-177, March 2014. S. Ulug, M. Ozyurt, and T. Tugcu, “WISDoM-SD: Wireless IPTV Service Distribution over Mesh Mode via Space Diversity,” Ad Hoc Networks (Elsevier) Journal, Vol. 12, No. 1, pp. 178-192, January 2014. H. B. Yilmaz, S. Bayhan, T. Tugcu, and F. Alagöz, "Radio Environment Map as Enabler for Practical Cognitive Radio Networks," IEEE Communications Magazine, Vol. 51, No. 12, pp. 162-169, Dec. 2013. S. Bayhan, S.Eryigit, F.Alagöz, T. Tugcu, "Low Complexity Uplink Schedulers for Energy-Efficient Cognitive Radio Networks," IEEE Wireless Communications Letters, Vol. 2, No. 3, pp. 363-366, April 2013. S. Eryigit, S. Bayhan, and T. Tugcu, "Energy-Efficient Multi-Channel Cooperative Sensing Scheduling with Heterogeneous Channel Conditions for Cognitive Radio Networks", IEEE Transactions on Vehicular Technology, Vol. 62, No. 6, pp. 2690-2699, July 2013. M. S. Kuran, T. Tugcu, and B. O. Edis, "Calcium Signaling: Overview and Research Directions of a Molecular Communication Paradigm," IEEE Wireless Communications Magazine, Vol. 19, No. 5, pp. 20-27, October 2012. M. S. Kuran, H. B. Yilmaz, T. Tugcu, I. F. Akyildiz, "Interference Effects on Modulation Techniques in Diffusion Based Nanonetworks," Elsevier Nano Communication Networks Journal, Vol. 3, No. 1, pp. 65-73, March 2012. D. Cavdar, H. B. Yilmaz, T. Tugcu, and F. Alagoz, "Analytical Modeling and Resource Planning for Cognitive Radio Systems," Wireless Communications and Mobile Computing Journal, Wiley Press, Vol. 12, No. 3, pp. 277-292, 2012. M. S. Kuran, H. B. Yilmaz, T. Tugcu, and B. Ozerman, “Energy Model for Communication via Diffusion in Nanonetworks,” Elsevier Nano Communication Networks, Vol. 1, No. 2, pp. 86-95, July 2010. M. S. Kuran, G. Gur, T. Tugcu, and F. Alagoz, "Applications of Cross-Layer Paradigm for Improving the Performance of WiMAX," IEEE Wireless Communications Magazine, Vol. 17, No. 3, pp. 86-95, June 2010. O. Turkyilmaz, F. Alagoz, G. Gur, and T. Tugcu, “Environment Aware Location Estimation in Cellular Networks,” EURASIP Journal on Advances in Signal Processing, Vol. 2008. M. S. Kuran and T. Tugcu, “A Survey on Emerging Broadband Wireless Access Technologies,” Computer Networks, Vol. 51, No. 11, pp 3013-3046, August 2007. T. Tugcu, H. B. Yilmaz, and F. Vainstein, "Analytical Modeling of CAC in Next Generation Wireless Systems," Computer Networks, Vol. 50, No:17, pp. 3466-3484, December 2006. J. McNair, T. Tugcu, W. Wang, and J. Xie, "A Survey of Cross-layer Performance Enhancements for Mobile IP Networks," Computer Networks Journal, Vol. 49, No. 2, pp. 119-146, 2005. T. Tugcu and C. Ersoy, “A New Call Admission Control Scheme Based on Mobile Position Estimation in DS-CDMA Systems,” ACM/Kluwer Journal of Wireless Networks, Vol. 11, No. 3, pp. 341-351, 2005. T. Tugcu and C. Ersoy, “How a New Realistic Mobility Model Can Effect the Relative Performance of a Mobile Networking Scheme,” Wiley Journal on Wireless Communications and Mobile Computing, Vol. 4, No. 2, pp. 383-394, 2004. H.B. Yilmaz, S. Eryigit, and T. Tugcu, (2014). “Cooperative Spectrum Sensing in Cognitive Radio Networks," Book chapter in Cognitive Radio and Networking for Heterogeneous Wireless Networks, Springer-Verlag. B. Acar, A. Akkaya, G. Genc, H.B. Yilmaz, M. S. Kuran, and T. Tugcu, (2014). “Understanding Communication via Diffusion: Simulation Design and Intricacies,” Book chapter in Modeling, Methodologies and Tools for Molecular and Nano-scale Communications, Springer. T. Tugcu (Guest Editor), Special Issue on Mobile WiMAX, Computer Networks Journal (Elsevier), Vol. 55, No. 16, 2011. P. Bellavista, J. L. Xie, and T. Tugcu (Guest Editors), Recent Advances in Mobile Middleware for Wireless Systems and Services, Mobile Networks and Applications (MONET) Journal, Vol 14, No. 1, 2009. B. Atakan, T. Tugcu, O. B. Akan, (2008). "Bio-inspired Communications in Wireless Sensor Networks," Book chapter in Handbook of Wireless Sensor and Ad Hoc Networks, Edited by S. Misra, I. Woungang, and S. C. Misra, Springer (London). M. S. Kuran, F. Alagoz, and T. Tugcu (2008). "Medium Access Control in WirelessMAN," Book chapter in Mobile WiMAX: toward broadband wireless metropolitan area networks, Edited by Yan Zhang and Hsiao-Hwa Chen, Auerbach Publications. M. S. Kuran, F. Alagoz, and T. Tugcu (2006). "MAC Layers of WMAN Technologies," Book chapter in Wireless Metropolitan Area Networks: WiMAX and Beyond. Y. Zhang and H.-W. Chen (Eds.) Auerbach Publications, CRC Press. G. Gur, F. Alagoz, and T. Tugcu (2006). "Link Adaptation Mechanisms in Wireless MAN," Book chapter in Wireless Metropolitan Area Networks: WiMAX and Beyond. Y. Zhang and H.-W. Chen (Eds.) Auerbach Publications, CRC Press. T. Tugcu, "Connection Admission Control in Wireless Networks," Book chapter in Resource Management in Wireless Networking, Kluwer Academic Publishers, 2005. T. Tugcu, "Resource Management Schemes for Cellular Systems," Book chapter in Wireless Information Highways, Idea Group Publishing, 2005. T. Tugcu, J. Xie, W. Wang, and J. McNair (2005). "Mobility Management and Admission Control in Next Generation Wireless Networks," Book chapter in Resource Allocation in Next Generation Wireless Networks, Nova Science Publishers. T. Tugcu, M. U. Caglayan, F. Alagoz, and E. Gelenbe (Editors) (2005). New Trends in Computer Networks, Advances in Computer Science and Engineering: Reports, Vol. 1, Imperial College Press. B.C. Akdeniz, A.E. Pusane, and T. Tugcu, “Network Coding Approach for Multi-Hop Nanonetworks in Molecular Communication,” 15th International Symposium on Wireless Communication Systems (ISWCS), Lisbon, Portugal, August 2018. M.C. Gursoy, B.C. Akdeniz, T. Tugcu, and A.E. Pusane, “Error Probability Calculation with Reduced Complexity for Molecular Communications,” IEEE International Conference on Telecommunications and Signal Processing (TSP), Athens, Greece, July 2018. M. Turan, M.S. Kuran, H.B. Yilmaz, C.-B. Chae, and T. Tugcu, “MOL-Eye: A New Metric for the Performance Evaluation of a Molecular Signal,” IEEE Wireless Communications and Networking Conference (WCNC), Barcelona, Spain, April 2018. B.C. Akdeniz, A.E. Pusane, and T. Tugcu, “On the Performance of the Modulation Methods in Time-varying Molecular Communication Channels,” IEEE International Conference on Telecommunications and Signal Processing (TSP), Barcelona, Spain, July 2017. B.C. Akdeniz, A.E. Pusane, and T. Tugcu, “Two-way Communication Systems in Molecular Communication,” IEEE International Black Sea Conference on Communications and Networking (IEEE BlackSeaCom), Istanbul, Turkey, June 2017. C. Gursoy, A.E. Pusane, and T. Tugcu, “Throughput Optimization for Molecule-as-a-Frame Communications,” IEEE International Black Sea Conference on Communications and Networking (IEEE BlackSeaCom), Istanbul, Turkey, June 2017. B.C. Akdeniz, A.E. Pusane, and T. Tugcu, “2-D Channel Transfer Function for Molecular Communication with an Absorbing Receiver,” IEEE Symposium on Computers and Communication (ISCC’17), Crete, Greece, July 2017. B.C. Akdeniz, A.E. Pusane, and T. Tugcu, “A Novel Concentration-Type Based Modulation in Molecular Communication,” IEEE Signal Processing and Communications Applications Conference (IEEE SIU), Antalya, Turkey, May 2017. C. Gursoy, B.C. Akdeniz, A.E. Pusane, and T. Tugcu, “On the Effects of Mobile Transmitter and Receiver on the Performance of Molecular Communications System,” IEEE Signal Processing and Communications Applications Conference (IEEE SIU), Antalya, Turkey, May 2017. A. Demirkol and T. Tugcu, “Incentive for Cooperation in Cognitive Radio Networks with Group Communities,” International Wireless Communications and Mobile Computing Conference (IWCMC 2015), Dubrovnik, Croatia, August 2015. A.C. Heren, H.B. 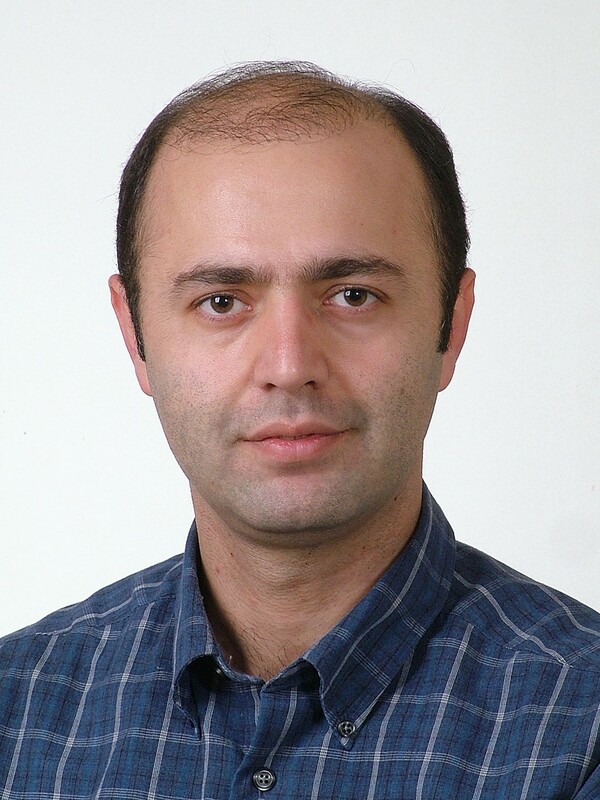 Yilmaz, and T. Tugcu, "Energy Efficient MAC Protocol for Cluster Formation in Mobile Cooperative Spectrum Sensing," International Workshop on Smart Spectrum (in conjunction with IEEE Wireless Communications and Networking Conference-WCNC), Las Vegas, 2015. S. Nair, A. Yurdakul, O. Unsal, T. Tugcu, A. Yuceturk, “A Dynamically Reconfigurable Architecture for Emergency and Disaster Management in ITS,” 3rd International Conference on Connected Vehicles & Expo (ICCVE 2014), Messe Wien, Vienna, Austria. M.T. Ozsahin, and T. Tugcu, "Transmitter location estimation for radio environment map construction using software defined radio," IEEE 21st Symposium on Communications and Vehicular Technology in the Benelux (SCVT), 2014. A. C. Heren, F. N. Kilicli, G. Genc, and T. Tugcu, “Effect of Messenger Molecule Decomposition in Communication via Diffusion,” ACM International Conference on Nanoscale Computing and Communication (ACM NANOCOM), Atlanta, GA, May 2014. H.B. Yilmaz, Chan-Byoung Chae, and T. Tugcu, “Sensor Placement Algorithm for Radio Environment Map Construction in Cognitive Radio Networks,” in Proc. of the IEEE Wireless Communications and Networking Conference (WCNC), Istanbul, 2014. B. Tepekule, A. E. Pusane, H. B. Yilmaz, and T. Tugcu, “Energy Efficient ISI Mitigation for Communication via Diffusion,” IEEE International Black Sea Conference on Communications and Networking (IEEE BlackSeaCom), Chisinau, Moldova, May 2014. B. Tepekule, A. E. Pusane, H. B. Yilmaz, and T. Tugcu, “A Novel Modulation Technique in Diffusion Based Molecular Communication and Its Performance Analysis,” IEEE Signal Processing and Communications Applications Conference (IEEE SIU), Trabzon, Turkey, April 2014. E. Onem, S. Eryigit, T. Tugcu, and A. Akurgal, "QoS-Enabled Spectrum-Aware Routing for Disaster Relief and Tactical Operations over Cognitive Radio Ad Hoc Networks," IEEE Military Communications Conference (MILCOM 2013), San Diego, CA, November 2013. G. Genc, H.B. Yilmaz, and T. Tugcu, "Reception Enhancement with Protrusions in Communication via Diffusion," IEEE BlackSeaCom Conference, Batumi, Georgia, July 2013. S. Eryigit, S. Bayhan, and T. Tugcu, "Channel Switching Cost Aware and Energy-Efficient Cooperative Sensing Scheduling for Cognitive Radio Networks," IEEE International Conference on Communications (ICC), Budapest, Hungary, June 2013. A. C. Heren, M. S. Kuran, H. B. Yilmaz, and T. Tugcu, "Channel Capacity of Calcium Signalling Based on Inter-cellular Calcium Waves in Astrocytes," International Workshop on Molecular and Nano-scale Communications (MONACOM) in conjunction with IEEE ICC, Budapest, Hungary, June 2013. M. S. Kuran, H. B. Yilmaz, and T. Tugcu, " A Tunnel-based Approach for Signal Shaping in Molecular Communication," International Workshop on Molecular and Nano-scale Communications (MONACOM) in conjunction with IEEE ICC, Budapest, Hungary, June 2013. A. Akkaya and T. Tugcu, “dMCS: Distributed Molecular Communication Simulator,” 8th International Conference on Body Area Networks (BODYNETS), Boston, USA, September 2013. B. Acar, M. A. Ersoy, H. B. Yilmaz, S. Eryigit, and T. Tugcu, "Zone-based Spectrum Sensing in Cognitive Radio," 17th IEEE Symposium on Computers and Communication (ISCC’12), Cappadocia, Turkey, July 2012. S. Eryigit and T. Tugcu, "Joint Channel and User Selection for Transmission and Sensing in Cognitive Radio Networks," 7th International Conference on Cognitive Radio Oriented Wireless Networks (CROWNCOM), Stockholm, Sweden, June 2012. A. Akkaya, T. Tugcu, “Analog Molecular Communication in Nanonetworks,” 6th International ICST Conference on Bio-Inspired Models of Network, Information, and Computing Systems (BIONETICS), York, UK, December 2011. M. S. Kuran, T. Tugcu, “Co-channel Interference for Communication via Diffusion System in Molecular Communication,” 6th International ICST Conference on Bio-Inspired Models of Network, Information, and Computing Systems (BIONETICS), York, UK, December 2011. M. S. Kuran, H. B. Yilmaz, T. Tugcu, I. F. Akyildiz, “Modulation Techniques for Communication via Diffusion in Nanonetworks,” IEEE International Conference on Communications (ICC), Kyoto, Japan, June 2011. M. S. Kuran, H. B. Yilmaz, T. Tugcu, “Effects of Routing for Communication via Diffusion System in the Multi-node Environment,” International Workshop on Molecular and Nano-scale Communications (MONACOM) in conjunction with IEEE INFOCOM, Shanghai, China, April 2011. M. I. Ulutas, M. S. Kuran, T. Tugcu “Hybrid Frame Structure for Improving Network Throughput in WiMAX Mesh Networks” 5th International Conference on Broadband and Biomedical Communications (IB2COM), Malaga, Spain, December 2010. M. Ozyurt, S. Ulug, and T. Tugcu, “Utilizing WiMAX Mesh Mode for Efficient IPTV Transmission," The 13th ACM International Conference on Modeling, Analysis and Simulation of Wireless and Mobile Systems (MSWiM), Turkey, October 2010. H. B. Yilmaz, T. Tugcu, and F. Alagoz, "Uniform Quantizer for Cooperative Sensing in Cognitive Radio Networks," 21st IEEE International Symposium on Personal, Indoor and Mobile Radio Communications (PIMRC), Istanbul, Turkey, September 2010. D. Cavdar, H. B. Yilmaz, T. Tugcu, and F. Alagoz, "Resource Planning in Cognitive Radio Networks," IEEE International Symposium on Wireless Communication Systems (ISWCS), Siena, Italy, September 2009. M. Ozyurt, T. Tugcu, and F. Alagoz, “Digital Terrain Model Interpolation for Mobile Devices Using DTED Level 0 Elevation Data,” Mobilware’09, Berlin, Germany, 2009. A. Zumbul and T. Tugcu, “Applying Design Patterns to SCA Implementations,” SDR Technical Conference and Product Exposition, Washington D.C, 2008. S. Eryigit and T. Tugcu, “A Power Efficient Disaster Detection Scheme Using Wireless Sensor and Actuator Networks,” 8th International Symposium on Computer Networks (ISCN08), 2008. A. Akkaya and T. Tugcu, “An End-to-End QoS Architecture for All-IP 4G Mobile Networks,” 8th International Symposium on Computer Networks (ISCN08), 2008. H. Canarslan, F. Alagöz, and T. Tugcu, "Cyclic MAP Information Element in WiMAX Networks," 8th International Symposium on Computer Networks (ISCN08), Istanbul, TR, 2008. D. Isler, H. B. Yilmaz, A. Zumbul, T. Tugcu, "Akilli Radyo Aglari icin Butunsel Bir Mimari", (in Turkish) IEEE 16. Sinyal Isleme, Iletisim ve Uygulamalari Kurultayi 2008 (SIU’08). M. S. Kuran, G. Gur, T. Tugcu, and F. Alagoz, “Cross-Layer Routing-Scheduling in IEEE 802.16 Mesh Networks," International Conference on MOBILe Wireless MiddleWARE, Operating Systems, and Applications (Mobilware’08), Innsbruck Tyrol-Austria, Feb 2008. E. Onem, H. B. Yilmaz, F. Alagoz, and T. Tugcu, “On Communication Protocols for Tactical Navigation Assistance," International Conference on MOBILe Wireless MiddleWARE, Operating Systems, and Applications (Mobilware’08), Innsbruck Tyrol-Austria, Feb 2008. M. S. Kuran, B. Yilmaz, F. Alagoz, and T. Tugcu, “Quality of Service in Mesh Mode IEEE 802.16 Networks," 14th International Conference on Software, Telecommunications and Computer Networks (SoftCOM '06), Split-Dubrovnik, Croatia, 2006. T. Tugcu and F. Alagoz, “Aggressive Back off Strategy in Congestion Management Algorithm for DBS-RCS,” International Symposium on Computer and Information Sciences ISCIS'05 (also appeared in Lecture Notes in Computer Science, Vol. 3733, Springer-Verlag, pp. 136-144, 2005). H. B. Yilmaz, T. Tugcu, and F. Vainstein, "Analytical Model for Admission Control in Next Generation Wireless Systems," International Workshop on Convergence of Heterogeneous Wireless Networks, Budapest, Hungary, July 2005. G. Gur, F. Alagoz, and T. Tugcu, “Exploring the Issues in Policy-Based Approaches for QoS Support in 3G+ Mobile Networks," IFIP/IEEE International Conference on Wireless and Optical Communication Networks (WOCN 2005), Dubai, UAE, March, 2005. U. Ayhan, T. Tugcu, F. Alagoz, "Source Specific Multicasting in Next Generation Wireless Systems," (in Turkish) Conference on Academic Information (Akademik Bilisim 2005), Gaziantep, Turkey, February, 2005. T. Tugcu, E. Ekici, and I. F. Akyildiz, “Universal Location Registration and Paging Schemes for Next Generation Wireless Systems," ICC’04, Paris, France, June, 2004. T. Tugcu and F. Vainstein, “Mathematical Foundations of Resource Management in Next Generation Wireless Systems,” IEEE International Symposium on Personal, Indoor and Mobile Radio Communications (PIMRC), Beijing, China, September, 2003. T. Tugcu and C. Ersoy, “Application of a Realistic Mobility Model in Metropolitan Cellular Systems,” Vehicular Technology Conference VTC’2001 Spring, Rhodes, Greece, May, 2001. T. Tugcu and C. Ersoy, “Resource Management in DS-CDMA Cellular Systems using the Reservation Area Concept,” 4th European Personal Mobile Communications Conference EPMCC’2001, Vienna, Austria, February, 2001. T. Tugcu and C. Ersoy, “A Novel Call Admission Scheme Based on Interference for DS-CDMA Systems,” Symposium on Communications and Vehicular Technology SCVT-2000, Leuven, Belgium, October, 2000. T. Tugcu and C. Ersoy, “A Realistic Mobility Model in Metropolitan Cellular Systems,” International Symposium on Computer and Information Sciences ISCIS’00, Istanbul, Turkey, October, 2000. T. Tugcu and C. Ersoy, “A New Channel Reservation Scheme for 3G Cellular Systems,” (in Turkish) Bilisim2000 Workshop, Istanbul, Turkey, September, 2000. E. Cayirci, T. Tugcu, R. Kucukates, E. I. Oyman, C. Ersoy, and M. U. Caglayan, “Multimedia Communications in Distributed Combat Modeling,” (in Turkish) Turkish Armed Forces Modeling and Simulation Seminars, Ankara, Turkey, April, 1998. T. Tugcu and C. Ersoy, “New Types of Data Traffic due to Multimedia Applications on Computer Networks,” (in Turkish) Bilisim Workshop, Istanbul, Turkey, September, 1996. C. Amaro, T. Tugcu, et al., “Economics of Resource Allocation,” Complex Systems Engineering and Assessment Technology Workshop, pp. 195-201, Maryland, July, 1994. T. Tugcu and H.B. Yilmaz, “Afet Kaynak Koordinasyon Sistemi,” TR 2013 11786 Y, National Utility Model (Faydalı Model) in Turkey (for Ericsson). R. Kosar, S. Kusdogan, T. Tugcu, A. Seref, “A Smart Card System,” PCT application under evaluation (for Bogazici University).